Why Choose Bath & KITCHEN Refinishing St. Louis? "At Bath & Kitchen Refinishing St. Louis, we specialize in refinishing those items in your home that are functionally sound, but may need a bit of an update." Quality Is Truly Our First Concern. While most reglazing companies in St. Louis, MO are concerned with the cost of the reglazing products they buy, we are concerned with the quality, durability, and longevity of the reglazing products we buy. In fact our supplier sells a good, a better, and a best. We always buy the best. Our work is backed by our five year warranty & guarantee. We guarantee you flawless reglazing (also known as refinishing, resurfacing), and exceptional service. Our Clients Call Us Neat Freaks! We love impressing each and every client we have the privilege of serving. We guarantee you, that when we finish your reglazing project, the work area will be cleaner than it was when we arrived. We don’t use your trash cans, we wear shoe covers to protect your floors, we do everything we can to protect your home, and family. We Believe In Protecting The Environment. In fact we are carbon neutral, in partnership with TerraPass . We always reduce, reuse, and recycle in our business. Keep your old bathtub out of the landfill, and prevent a new one from being made. We use filtered fume exhauster’s that capture 99.9% of the volatile organic compounds released by our process. Bathtub Reglazing, Bathtub Refinishing, Bathtub Repair, Bathtub Restoration, Bathtub Resurfacing, Bathtub Painting, Bathtub Stripping, Bathtub Anti-Slip Surface, Bathtub Reglazing Quote, Shower Reglazing, Shower Refinishing, Shower Repair, Shower Resurfacing, Shower Restoration, Shower Anti-Slip Surface, Shower Reglazing Quote, Shower Refacing, Sink Reglazing, Sink Refinishing, Sink Repair, Sink Restoration, Sink Resurfacing, Sink Refacing, Sink Reglazing Quote, Tile Reglazing, Tile Refinishing, Tile Resurfacing, Tile Repair, Tile Restoration, Tile & Grout Cleaning, Tile Regrouting, Tile Cleaning, Tile Installation, Tile Replacement, Tile Quote, New Tile, Tile Stripping, Tile Refacing, Kitchen Countertop Reglazing, Kitchen Countertop Refinishing, Kitchen Countertop Painting, Kitchen Countertop Refacing, Kitchen Countertop Resurfacing, New Kitchen Countertops, Kitchen Countertop Repair, Kitchen Cabinet Painting, Kitchen Cabinet Glazing, Kitchen Cabinet Stripping, Granite Countertops, Faux-Granite Countertops. We love to resurface bathtubs. In fact we have been doing it since 2007, throughout the St. Louis, MO area. 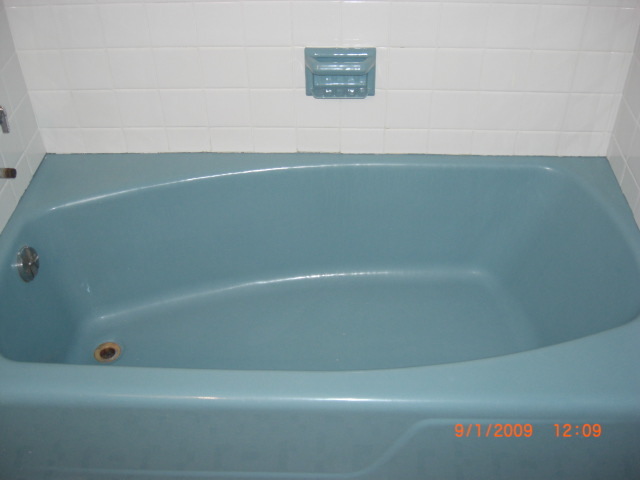 We believe in refinishing your tub properly, the first time. Does your bathtub need repair? Is your bathtub peeling? We can strip the previous glaze. Does your bathtub have rust? We can repair those rust spots! Does your bathtub have chips? We can repair those chips! Are you tired of cleaning your tile? Are you tired of seeing green, brown, or black grout? We can resurface your tile and grout. This process comes with a 5 year warranty, and can last over 10 years. Is there a difference between Tile Resurfacing, Tile Reglazing, Tile Refinishing, Tile Restoration, Etc? No. It’s all the same process. Do you resurface bathtubs? Yes we do! Do you repair bathtubs? Yes we do! What areas do you serve? We service all of the St. Louis Metropolitan area. We do not use subcontractors. All of our reglazing work is done in house! We take great pride in being a family owned, local business. Every dollar you spend with us, helps keep the St. Louis economy strong. 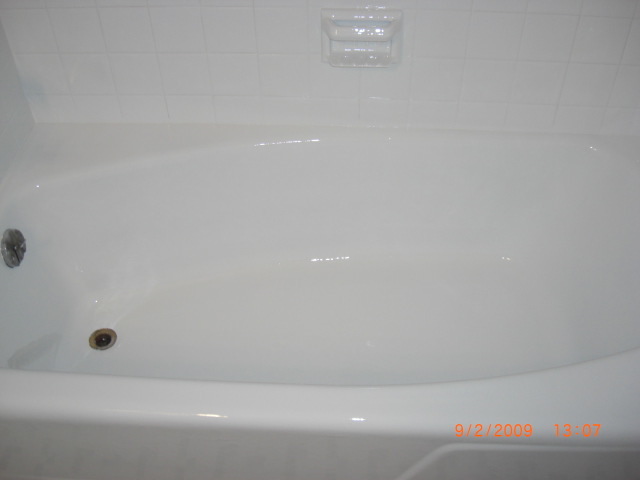 There are a lot of bathtub reglazing companies in St. Louis. Why is Bath & Kitchen Refinishing St. Louis better? We offer more than flawless reglazing work. We offer you pain free, hassle free experience. We have spent years creating a better customer experience, and this is our highest priority. That is why we collect feedback from our clients, and consider every suggestion that is received. We use the best products and equipment on the market today. That means our work product lasts longer than the other guys. Furthermore, lesser firms advise it takes 24 hours for their surfaces to dry. Consider the amount of dust and debris that can settle into a coating during that period of time. Our surfaces are usually dry to the touch before we leave the project site, and can be used within a few hours. ​Call us today for a free quote (314) 662-3543.